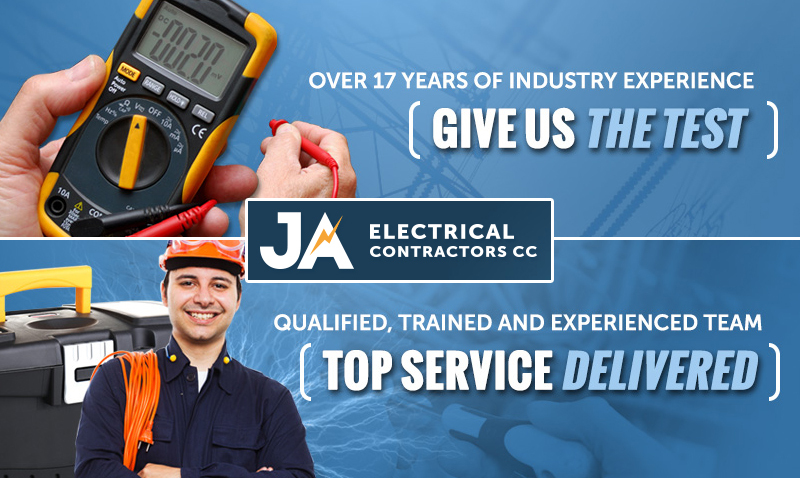 JA Electrical Contractors CC offers 24-hour reliable electrician in Pretoria. We offer electrical services such as emergency electrical repairs, new installations, electrical maintenance, COC, and high voltage wiring. JA Electrical Contractors CC provides emergency electrical services in all areas of Elardus Park and Pretoria East. Our qualified, trained and experienced electricians in Pretoria have handled a wide range of projects, and with their combined experience, are able to quickly identify the root causes for electrical problems. industrial plant installations and repair jobs. Design of new electrical systems. Upgrades and renovations of existing systems. Troubleshooting, testing and repair of systems.